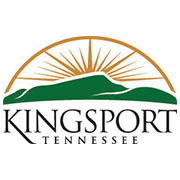 With reappraisals recently completed in Sullivan County, taxpayers in Kingsport are reaping the benefits of higher property values that enable the Board of Mayor and Aldermen to set the fourth lowest tax rate in city history. The new rate is $1.9750 per $100 of assessed value, while the previous rate was $2.07. The tax rate had been as high as $2.39 in 2000. Tennessee assesses residential property at 25 percent of market value and 40 percent for commercial/industrial. In many states, it is not uncommon to see property taxes applied to 100 percent of assessed value. While the rate is one of the lowest in city history, the combination of rate and individual property value determines the actual out-of-pocket cost to a homeowner. Under the new tax rate, annual city taxes on a $50,000 home would be $247, a $175,000 home would pay $740, a $300,000 home would pay $1,481, and a $500,000 home would pay $2,469. Annual taxes on a $500,000 business would be $3,950, a $1,000,000 business would pay $7,900 and a $5,000,000 business would pay $39,500 and a $15,000,000 business would pay $118,500. Saturdays with the Chef Don’t Get Blinded!